WooCommerce is an open source e‑commerce solution that allows retailers to transform their self-hosted WordPress website into an online store. The WooCommerce WordPress plugin offers various extensions and customization options for e‑commerce business owners to build and operate their e‑commerce stores. 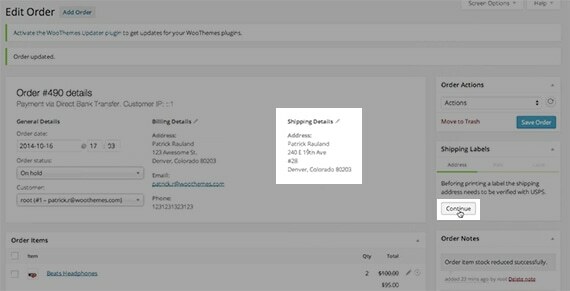 With WooCommerce, sellers can easily set up an online store, keep track of inventory, and even print USPS shipping labels right from the WooCommerce dashboard. On your WordPress Admin page, click on the “Plugins” tab. Download the Stamps.com plug-in called “WooCommerce Stamps.com API Integration”. Note: WooThemes charges $59.00 for this plug-in. In order to print shipping labels for your orders, you must first set up your Stamps.com account on the “Settings” page. Go to WooCommerce > Settings > Stamps.com. 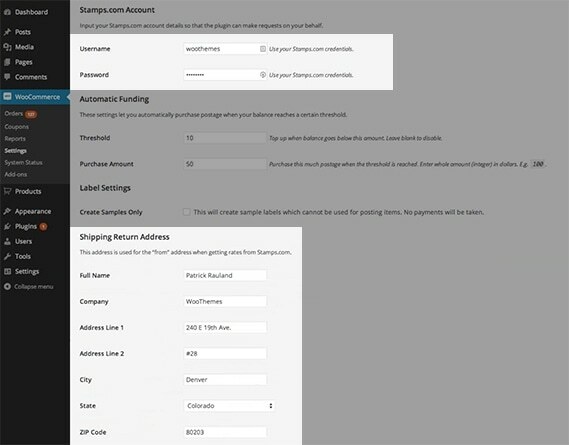 Here you will input your Stamps.com username and password, as well as set up common shipping settings such as Shipping Return Address and Automatic Funding for postage. 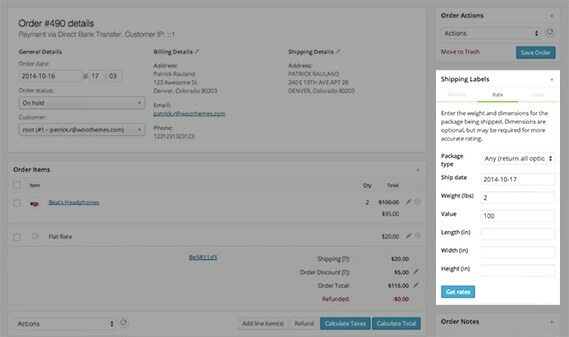 Under the WooCommerce tab, click on “Orders”. In “Order Details”, verify shipping details on the right side of the page and click “Continue” which will move you to the “Rates” tab. On the “Rates” tab, you will be able to input the package weight and box dimensions. Click on “Get Rates” to see pricing. Note: If you are printing a label for an international package, the Customs Information screen will appear before pricing. After clicking “Get Rates”, you will see different shipping options for your package. Click on “Request Label” to create a PDF version of your label ready to be printed.